In 2001, Sukanto and Tinah Bingei Tanoto formed the Tanoto Foundation, with the aim of educating and empowering marginalized members of the community so that they can improve their lives. The Tanoto Foundation is a privately funded non-profit organization with the emphasis on giving back to disadvantaged communities and alleviating poverty. The Foundation is active in Indonesia, China, Singapore and the USA. Its work in reducing poverty is based on the belief that the solution to breaking intergenerational poverty lies with the coming generation, hence the need to provide educational and empowerment opportunities. At the same time, the role of parents is crucial and family and societal values are reinforced through the Foundation’s activities. 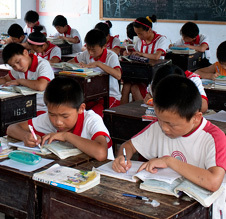 Education programs include providing scholarships to students, teacher training, building kindergartens, primary and junior high schools, the supply of books and other equipment and the funding of university professorships and research in areas such as diseases detection and prevention, biomass application, and forestry. Empowerment programs include facilitating the development of small businesses in rural areas through vocational training and microfinance, working with corporate partners to promote integrated farming system to transform villagers practicing slash-and-burn agriculture into self-sufficient and sustainable farmers and the establishment of Community Fiber Farms. Recognising that there are special and immediate community needs at times of natural calamities, the Tanoto Foundation distributes financial and material assistance (e.g. clothing, bedding and food) to the victims of natural disasters such as earthquakes, volcanic eruptions and floods.